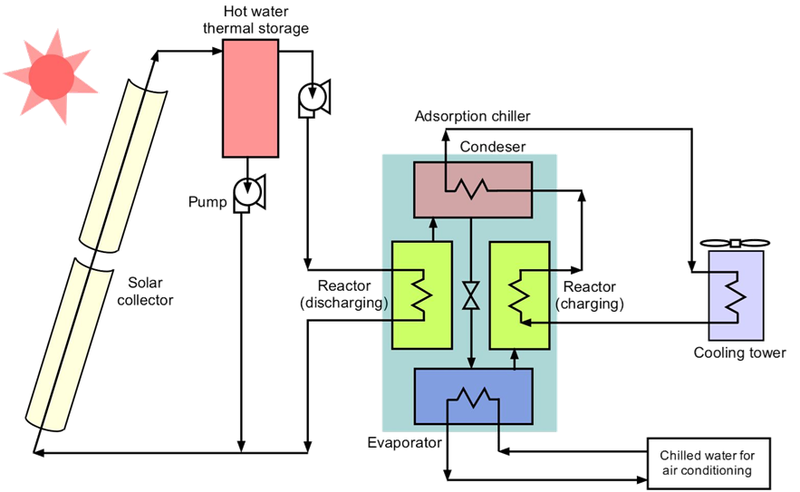 The coefficient of performance (COP) of an adsorption refrigeration cycle is quite low. This is caused by the poor thermal conductivity of porous adsorbent. 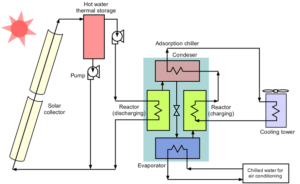 To improve the COP, Objective of this research is to find the optimum fin configulation in the adsorber reactor. Malaysia is especially suit to solar thermal generation for its longer day time, which continues all year around. However, measured solar radiation data shows that the solar radiation in Malaysia fluctuates so much due to cloud. Any changes of solar radiation will directly affect the working fluid temperature at the exit of the solar corrector tube and impact toward solar thermal generation system. The objective of this research is to develop a transient thermal prediction method for the exit fluid temperature and control strategy for parabolic trough collector tube. When the photo voltaic power generation systems are connected to the conventional electricity network, predicting near-future global solar radiation is important to stabilise the entire network. Simple methodologies utilising artificial neural networks (ANNs) to predict the global solar radiation in 1 to 5 minutes in advance from sky images are developing. Nuclear energy is the only non-greenhouse-gas emitting power source. To further enhance economic competitiveness and safety, supercritical Water Reactor (SCWR) is one such concept which operates in the supercritical regime and can enhance the efficiency by as much as 50%. Besides, safety is a key issue in the design of advanced reactors and considerable emphasis is given on passive safety. 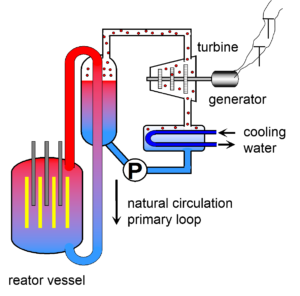 Cooling a reactor at full power with natural is generally considered as enhancement of passive safety. Natural circulation can also be used for passive decay heat removal after reactor shutdown. Hense, instability analysis of natural circulation loop is conducting.